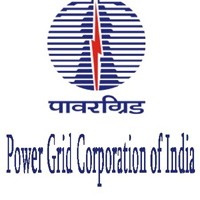 PGCIL Jobs Recruitment Notification 2019.Power Grid Corporation of India Limited inviting applications for the positions of Field Supervisor.Interested and Eligible candidates can apply for the positions. Last Date for Submission of Application is on February 12th, 2019. PGCIL is going to fill total 16 Field Professor posts. Applicants who have completed Diploma in Electrical Engineering or equivalent with minimum 55% marks for general, OBC (NCL) & ST categories and for SC category pass marks is enough from a recognized technical board/institute. Candidates who have one year post qualification experience of construction/testing & commissioning/ electrical works etc. in rural electrification (RE), distribution management system (DMS) sub transmission (ST) transmission lines (TLs) / sub – station (S/S) etc are eligible for the post of Field Professor. Category wise age limits are mentioned in down. For General/ ST category maximum age is 29 years. For OBC (NCL) category maximum age is 32 years. And for SC category maximum age is 34 years. Selected applicants will get pay monthly income based on consolidate year wise. Applicants will be recruited through preliminary examination. Through ONLINE mode applicants can apply for PGCIL Recruitment 2019 for the positions of Field Professor on 23rd January 2019. Applicants can submit the forms for J&K Govt Jobs on 12th February 2019. Application fee for PGCIL Notification 2019 to the posts of Field Supervisor is Rs. 200/- (Non-refundable). http://www.powergridindia.com/ is the link to apply and submit the application form for applicants is directly.